My journey towards financial independence was not always with financial independence in mind per se. Had that been my sole goal all a long I would have done things differently and probably faster e.g. 3-4 years instead of 5. If I had a six figure income, which I never had, I would be able to do it in 2 or 3 years. However, that’s the thing. As we gain in knowledge and wisdom our priorities change as that which was once important becomes less important as things are put in a different and hopefully bigger perspective. First of all I have to confess that I have never been dumb with money. I believe I once made an accidental overdraft because I forgot about an automatic payment, but otherwise I have never been in the red zone. I also suspect I was born with certain miserly qualities so that I did not need to change my basic personality too much. Spending money on “spontaneous fun” e.g. perishables like candy, ice cream, parties, beer, going out… have never meant much to me. Instead I was more interested in gadgets and electronics. Basically I would discover some new hobby. Then I would save until I had the money, and then I would go out and buy a new computer, then a SLR camera, then a HiFi rack, then another computer, then a telescope, etc. Since I enjoyed gadgets a lot more than sugar, alcohol, cab fares and other things that seems to make everybody else happy, I was already ready to save for big items and thus it was not so hard for me to aim for something bigger. The first thing I realized was therefore that my expensive hobbies had to go and be replaced with “free” hobbies, which meant no more buying toys. Instead I become interested in system administration, linux, and geopolitics, in particular resource depletion and overpopulation – which of course makes for great ice breakers at any cocktail party. I did not immediately make the connection to think of hobbies that make me money. At the time when I started saving money to keep it rather than spend it on the next big piece of electronics, I was a grad student living in a dorm room. There were 18 other people on the floor and we all shared the kitchen, 3 showers and 3 toilets. Most grad students I have known all had their own apartment, their own car, etc. and thus leave school with a degree and a ton of student debt. I did, however, not live there to save money but to meet other people more easily. In addition it was only a 10 minutes walk (or a 5 minute run) from my office and 5 minutes from the closest supermarket. Thus I did not need a car nor a bike. The two personal finance books that have influenced and inspired me the most and which I caught hold of at that time was Rich Dad Poor Dad and Your money or your life. If I could have only two personal finance books those would be it! Your money or your life can easily be summarized. There are two main ideas. The first idea is to calculate your real wage by subtracting taxes, transport, business clothes, cost of living (for instantly, suppose your job requires you to live in New York City), and dividing by time spent on the job, time spent on commuting, and time spent unofficially preparing yourself for your job. If you do this calculation you might find some particularly scary numbers. For instance, the hourly real wage of a commuting grad student (e.g. a highly skilled and competent person who would fetch $40-60k in the private sector) is certainly below the minimum wage. The second idea is to use the real wage to calculate the cost of something in hours. Suppose a Wii is $400 and your real wage comes to around $8/hr. Then you would have to work for 50 hours to get it. Since we only live once and never get this time back, those 50 hours have to be weighed against the game system. 50 hours seems fair to me, however, there was no way I was going to add 10 more hours on top of that by buying it on credit. In particular, I did not want to pay for my house 3 times over by getting a mortgage. Thus my initial motivation was to save for a house to avoid the mortgage interest. Apparently the personal finance blogging community doesn’t like Rich Dad Poor Dad because it does not contain enough “actionable” items and/or because the author gave some questionable real estate advice in some of his subsequent seminars. For me, though, that book was like striking gold. It completely changed my attitude towards money from being something one spends to buy stuff to being something one invests to make more money. Leave it to me to figure out the details, I am a smart guy, but it takes a genius to create a paradigm shift and I am not a genius. By Rich Dad Poor Dad standards I was still thinking like a poor person, saving and paying in cash and I was probably on my way to thinking like a middle class person who buys everything on credit. Instead I started thinking like a wealthy person and having my money work for me while cutting down on my liabilities and avoiding having me work for money. My guess is that it is probably easier to go from poor to wealthy than from middle class to wealthy. The middle class is weighed down by a large set of liabilities in the form of house payments, car payments, credit payments, educational payments, … Once you have those liabilities, they are very hard to give up to replace with assets. Initially I was just putting my money in savings accounts and watching it grow. In retrospect pure savings accounts turned out to be a good idea, since that was the period of 2001-2004 which was mostly a bear market. But an important point is that I did not invest for the first 3 years out of the 5 years it took me to gain financial independence. For extreme savers, financial independence is not achieved through investing. There is simply not enough time for compounding to make much of a difference. Instead compounding becomes somewhat irrelevant as the eventual portfolio becomes more focused on preserving principal, generating income, and not suffering too much in terms of inflation and taxes. to be continued … Read part II here. (Much thanks to Moneymonk for asking this very pertinent question. Questions are always very welcome). 66 users responded in " How I became financially independent in 5 years – Part I "
Very inspiring post and website. I also started my journey with the book Rich Dad Poor Dad. I think its one of the best (every day) finance books for beginners. It appears your living expense is essentially $1,000 a month. Assume you can manage the $180K savings such that you get 7% interest. $180,000 * 0.07 = $12,600. That would be enough to cover your living expenses, and by definition, you’d be “financially independent”. But you’d probably want to work another year or two and build a buffer. Imagine you reduced your living expenses to $10,000/year AND worked 3 more years. You would have saved $360,000 – $150,000 of it would be paying for your living expenses, and the other portion $210,000 would be free to grow. At 7%, in 20 years, it would reach 1 million dollars. My dad gave me Rich Dar Poor Dad was I was 12. I didn’t read it until I was 18. When I did read it, it blew my mind. This is truly inspirational, never in my wildest dreams did I think it was possible to retire in 5 years unless you won the lottery or came into inheritance. You’re methods really make sense to me and I’m planning to turn a corner financially and get on a 5 year program to achieve this. This is truly remarkable, I’ve printed this post and stick it next to my computer. Anythings possible if you put your mind to it. You’ve shown everyone mathematically how early retirement is possible, I wish you taught these incompetent financial advisers how to plan for early retirement. When I asked my planner if I could retire in 5 years he laughed. Thanks for posting this, it’s inspirational. Just imagine what you could do if you could save 90% of your income and only need 10% to live well. You would probably become financially independent in 3 years. I love the way you’ve demonstrated this mathematically and your intelligence shines through. This blog has really helped to cut my costs and increase my income, I’m in a better position now. Thank You. I credit the first “Rich Dad Poor Dad” book for teaching me to be a cash-flow investor and gaining my early retirement and financial independence. Money DOES grow on trees. It’s called “food.” The rich buy the trees that produce the food that the poor and middle class buy. With enough trees, you never have to work for food again. This is a variation of Rich Dad’s “The rich buy assets and the poor and middle class buy liabilities.” Assets (trees) put money IN your pocket and liabilities (food) takes money OUT of your pocket. 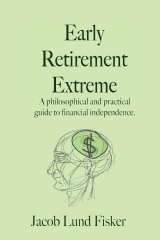 I retired at age 52 but had I known the Rich Dad concepts earlier, there is no reason I couldn’t retire at age 25. At age 57, I now have money and I now have time. By far, time is the most important asset. So rather than working 40 years to save up a million and try to retire on the interest, why not just learn how to BUY a passive income stream that allows you to retire now? If you are willing to push yourself through a learning curve, you can “retire” in months, not decades. Just buy one multi-unit residential income property with 30+ units and you can earn enough monthly income to pay all property expenses, a manager to run it and all your personal bills too. With a good manager, this type of income can be 95% passive. Rentals get a bad rap sometimes because the owners don’t have enough units to afford to pay a manager and to pay others to do repairs. Landlording can quickly burn you out if you try to do it yourself for too long. In my experience, 30+ units is the magic number. I’ve chosen mobile home parks because they provide the most income with the least capital expense and you can buy a 30+ unit park in one deal. If you self-educate, you really can buy just one property and “retire” as soon as you can complete your learning curve. Because your tenants are paying all your property and personal bills, you’re free from the world of must-be-there-employment. Unlike stocks and mutual funds, multi-unit residential rentals are also an income stream that you can touch and feel and control. As inflation eats your income, you can raise rents, lower expenses or buy another park. I self-educated and learned how to buy my first park for $1,000 down and closed on the 5th so I’d get the prorated rents for the remaining month at closing. So I was actually paid over $5,000 at closing to take over the park. When you have no money in the deal, your yield is infinite. Ten years later, the park is worth 1,500 times my original investment, which was more than returned to me at closing. I now own two parks and my only “job” is to manage the managers. It’s secure, monthly, 95% passive income that allows me to be retired, and own appreciating assets I can later sell, 1031-exchange or just live well off the rents as the properties pay themselves off. Because of the many allowable tax deductions available from owning rental properties, my taxes are very minimal too. I highly recommend this way to live “free” and retire early. It sure beats saving and investing and working a job for 40 years only to learn inflation and low interest rates still prevent you from retiring. It’s crazy to think how our society has such a warped view on Retirement, it really is just financial independence, and how fast you get to it has to do with your savings rate of your income, that’s it.